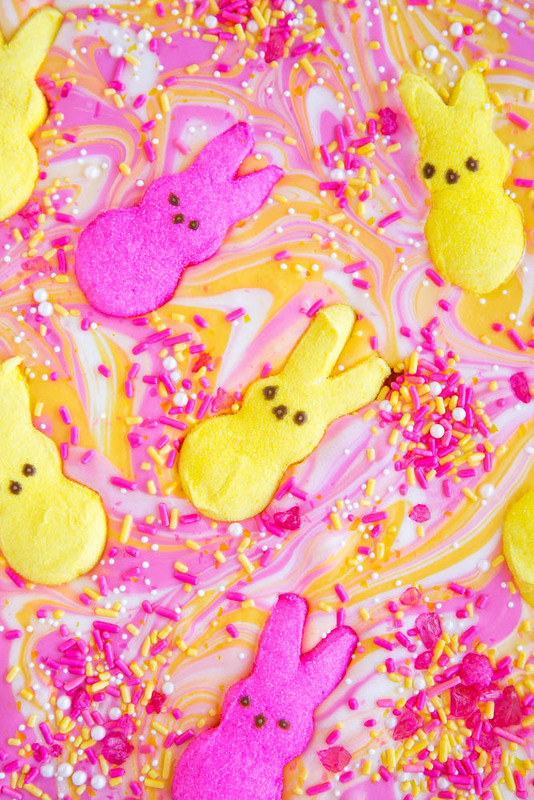 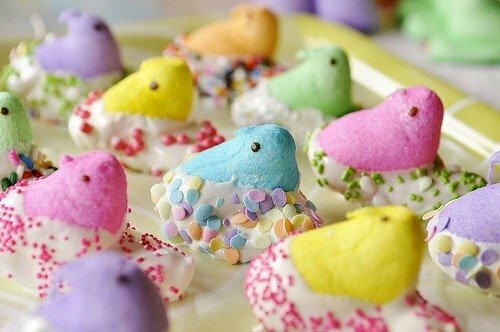 Hollow chocolate bunnies aside, Marshmallow Peeps are THE most Easter-y Easter candy I can think of! 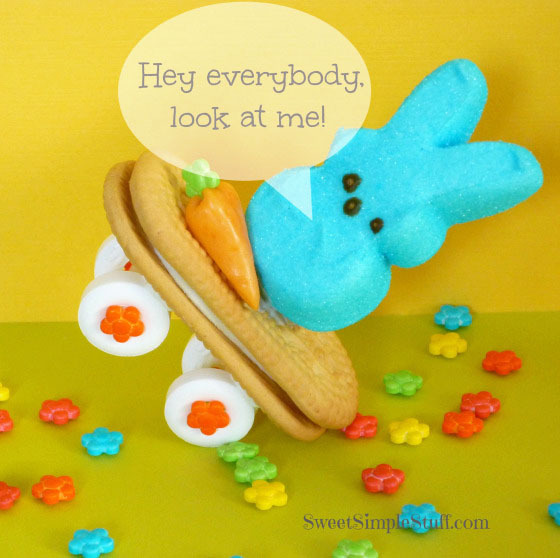 You, too? 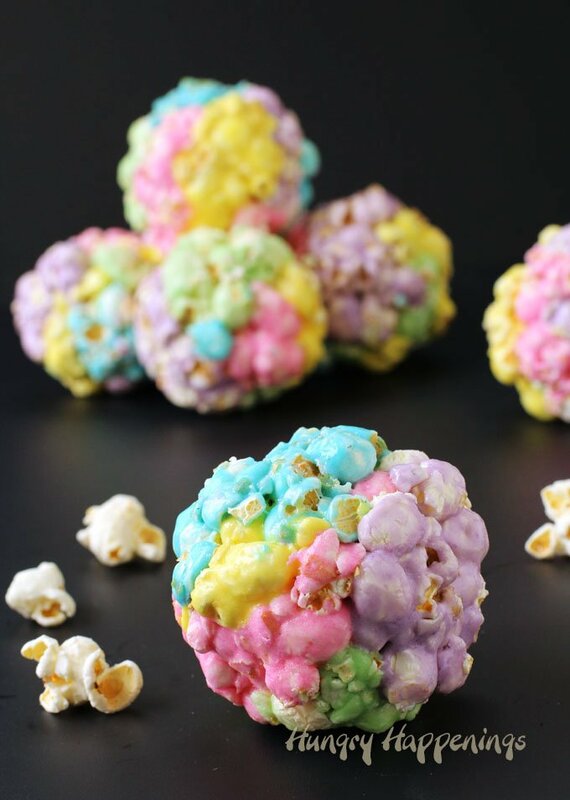 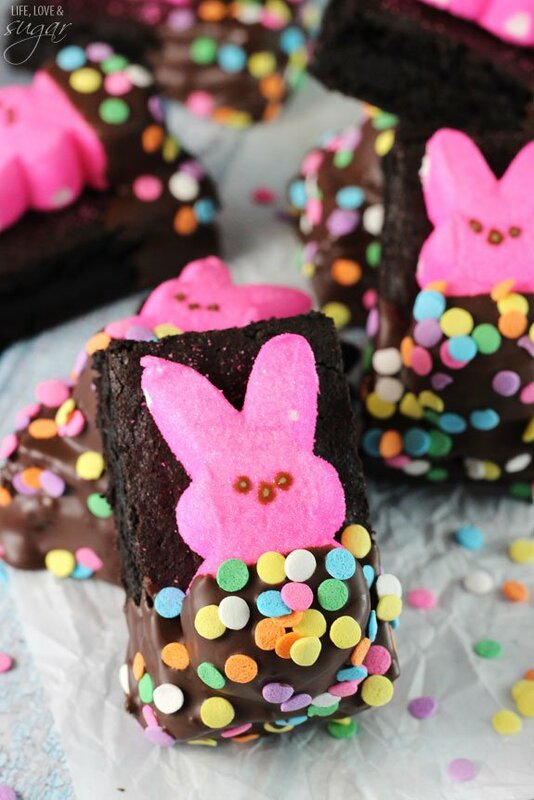 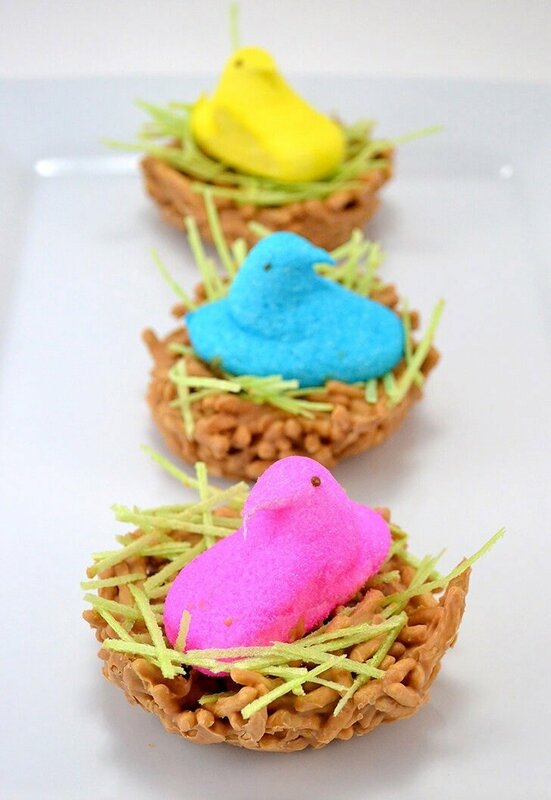 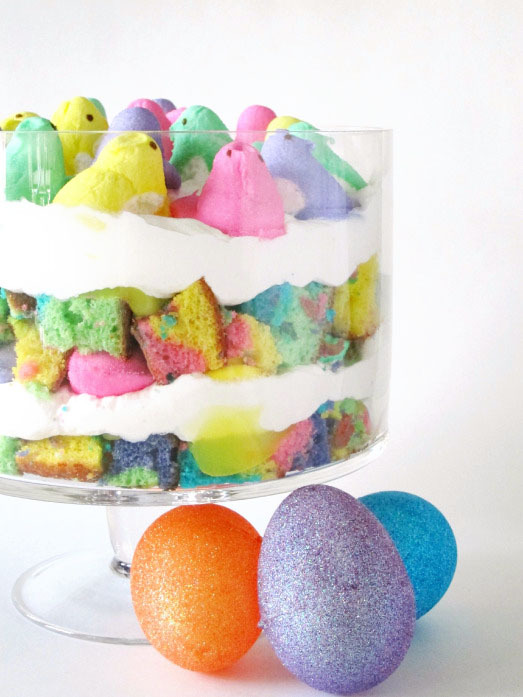 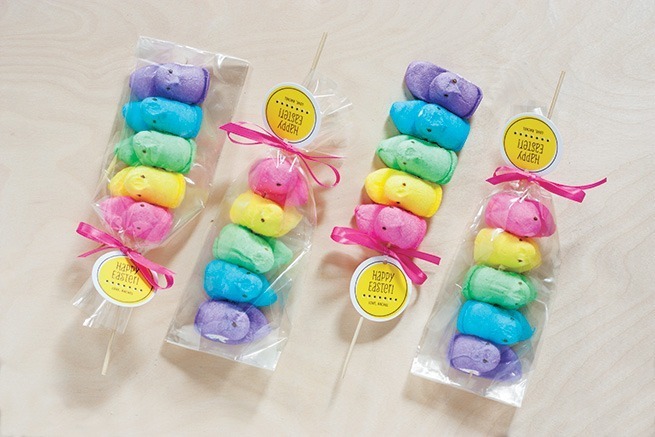 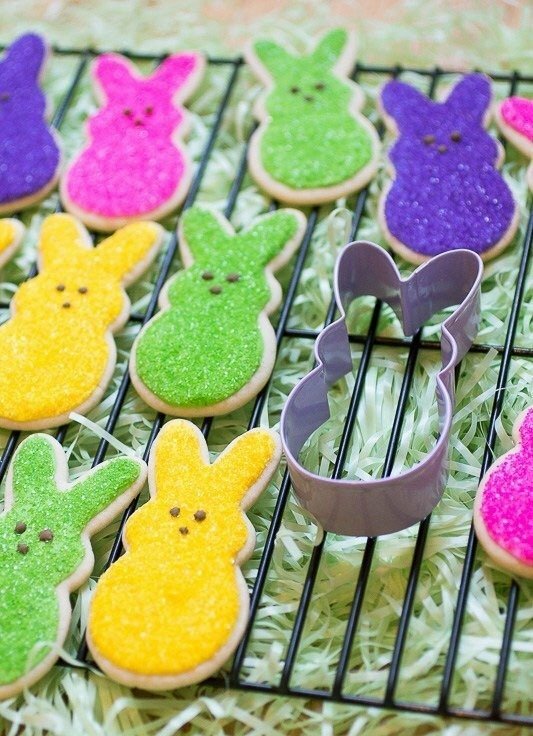 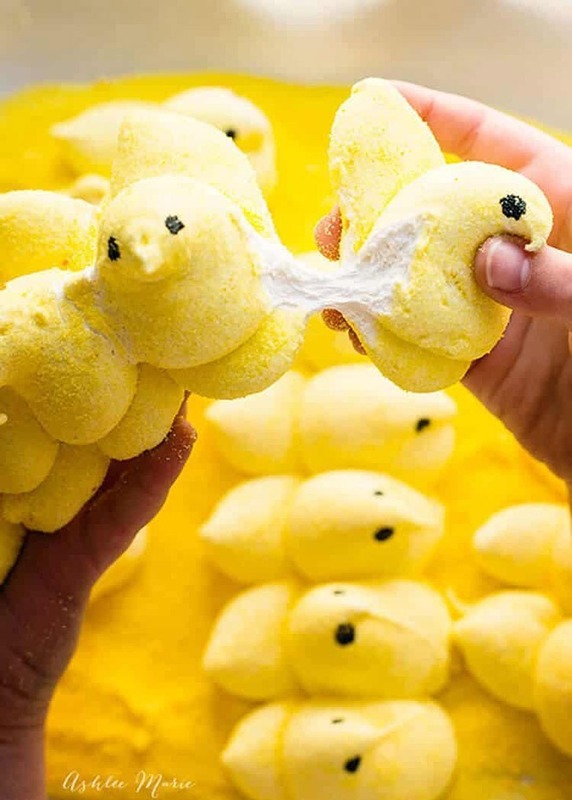 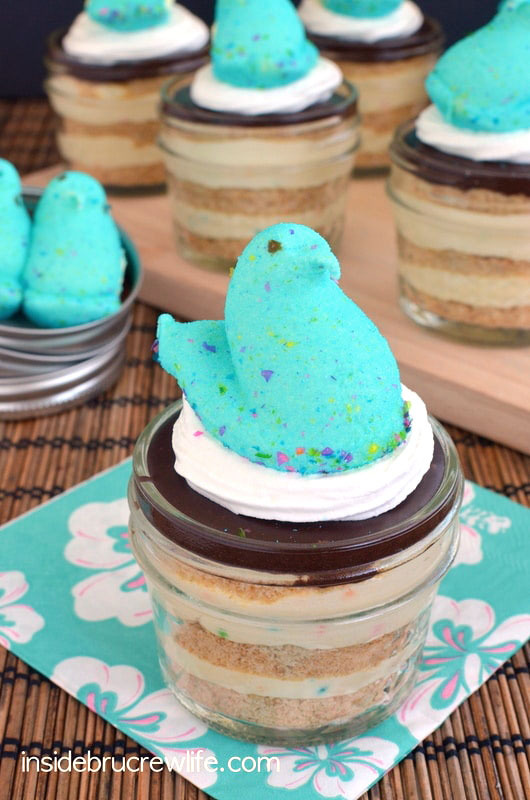 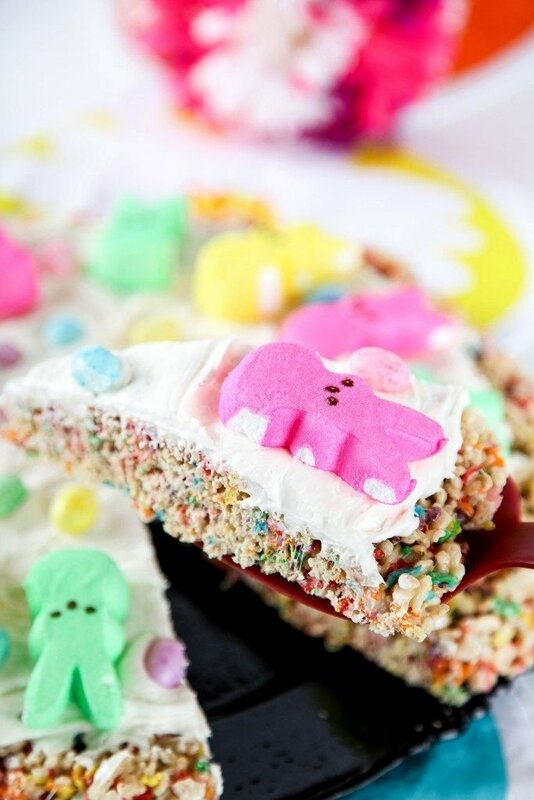 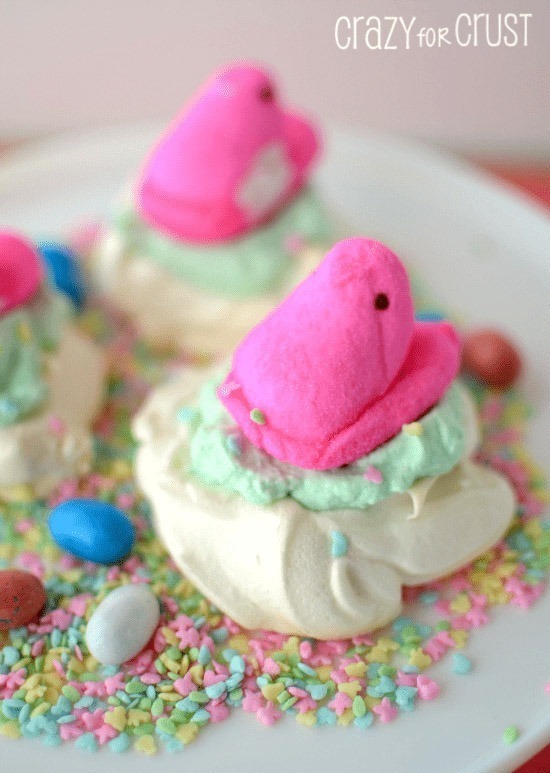 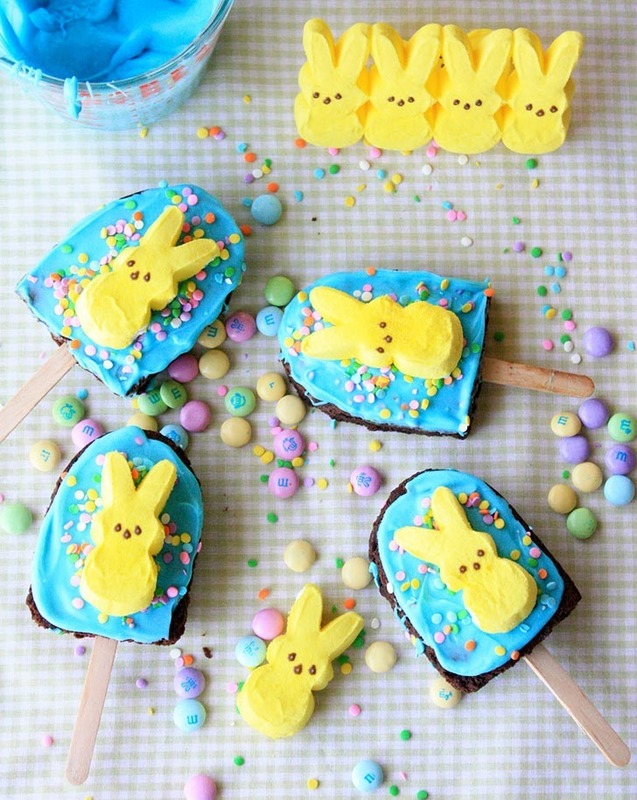 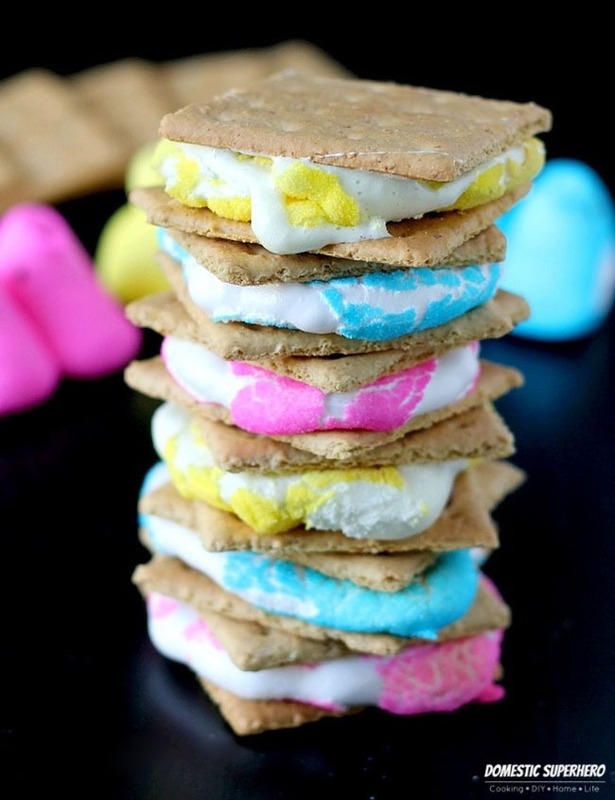 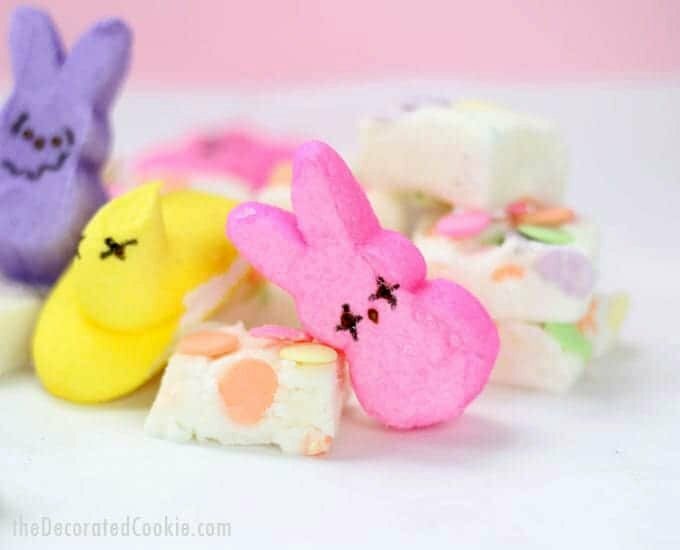 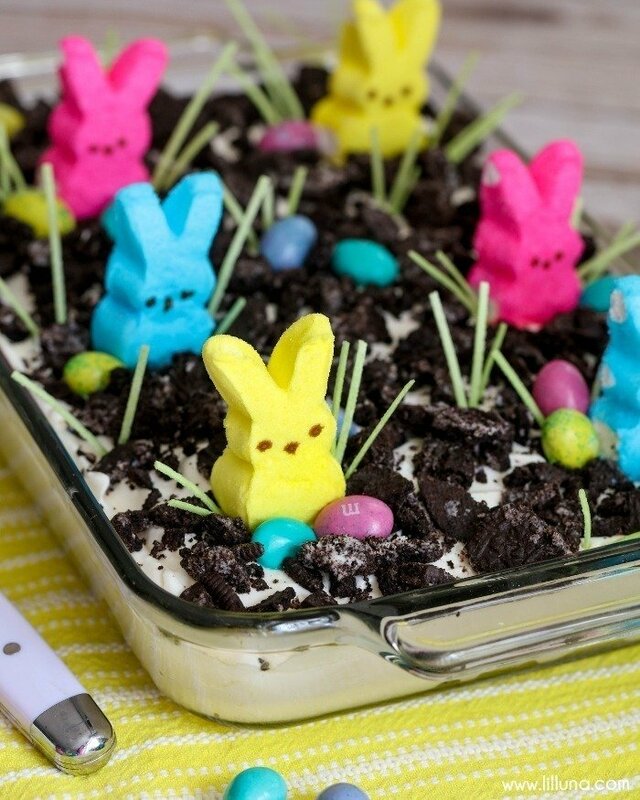 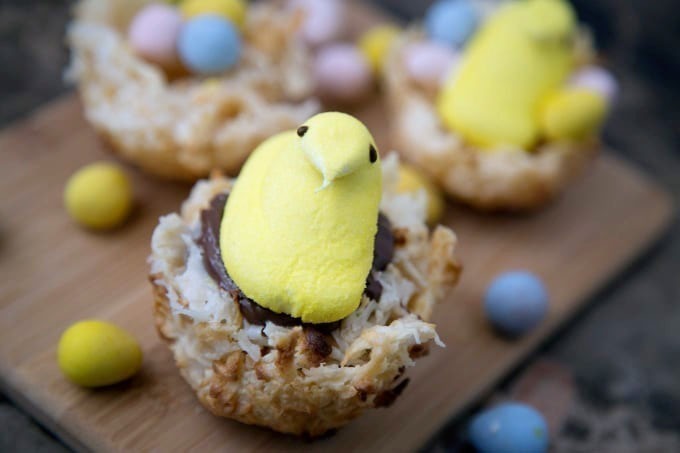 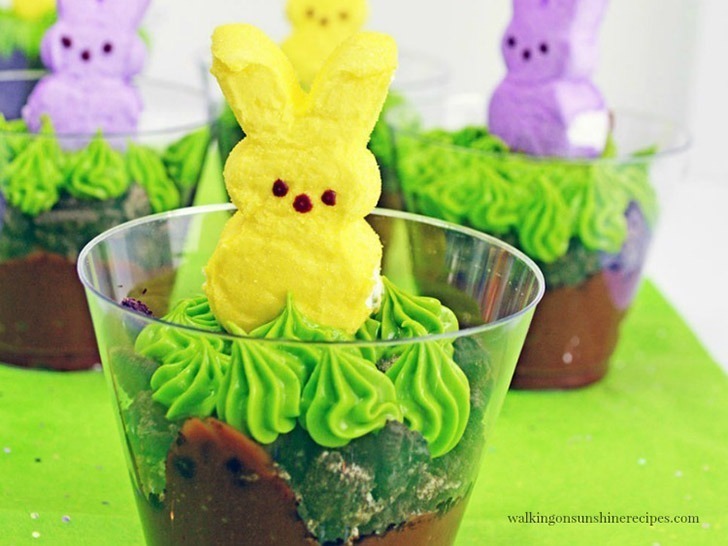 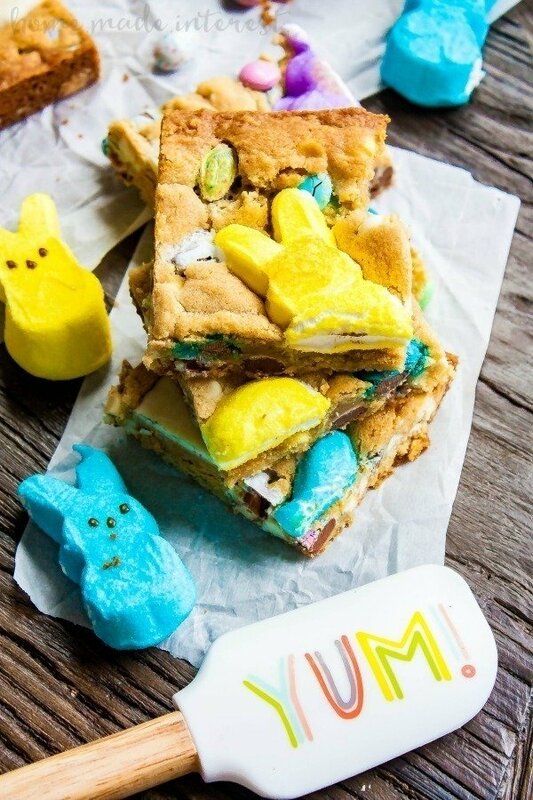 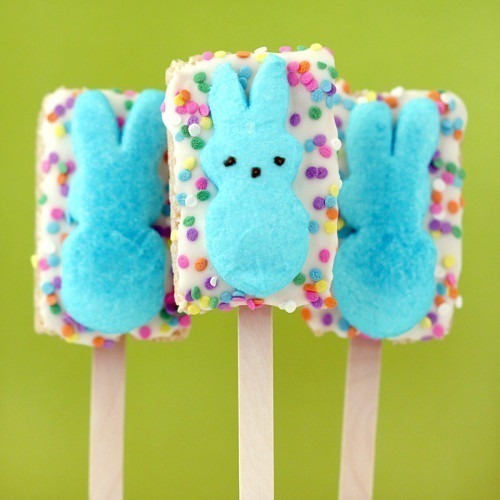 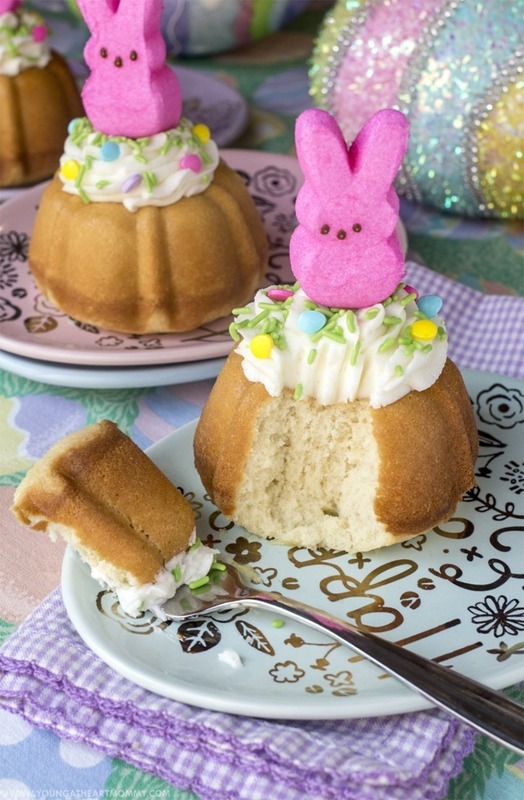 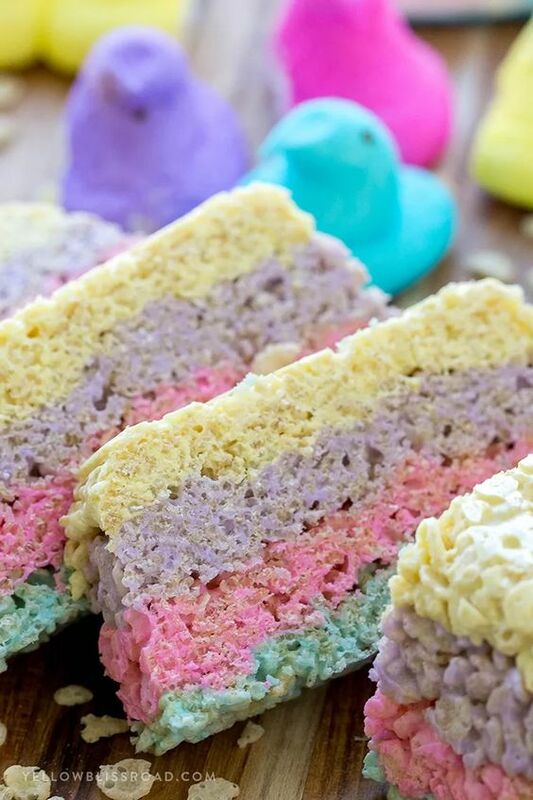 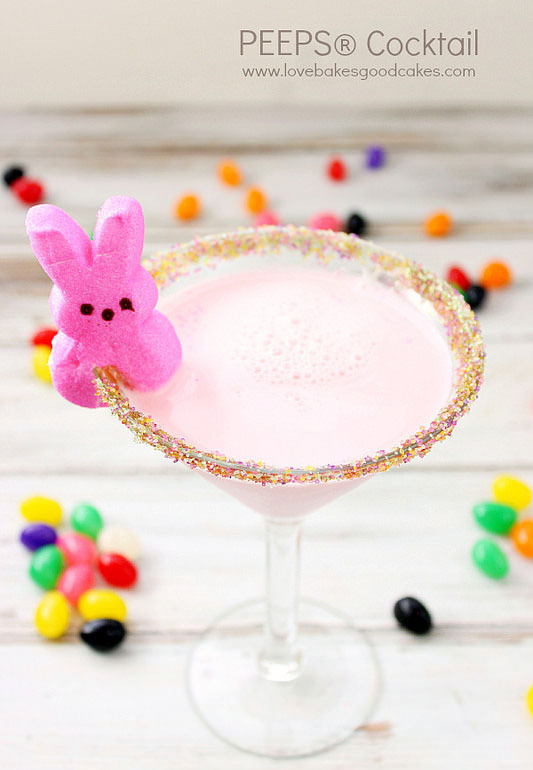 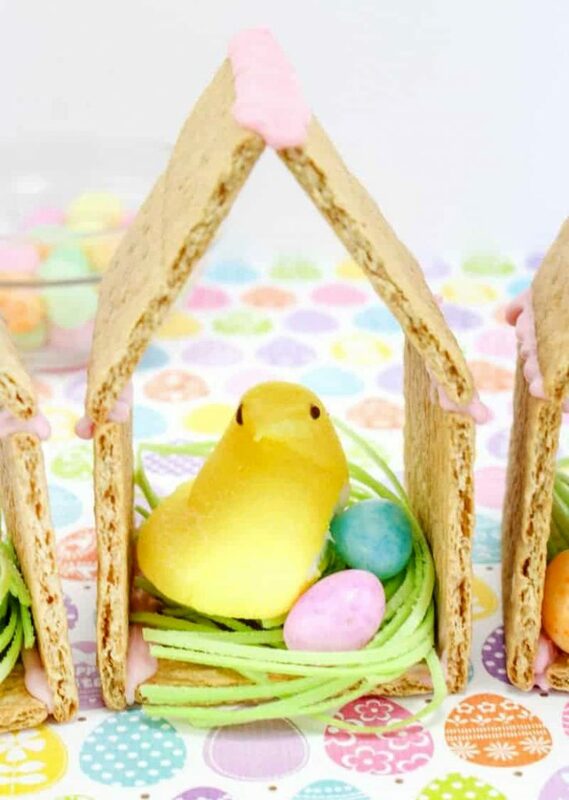 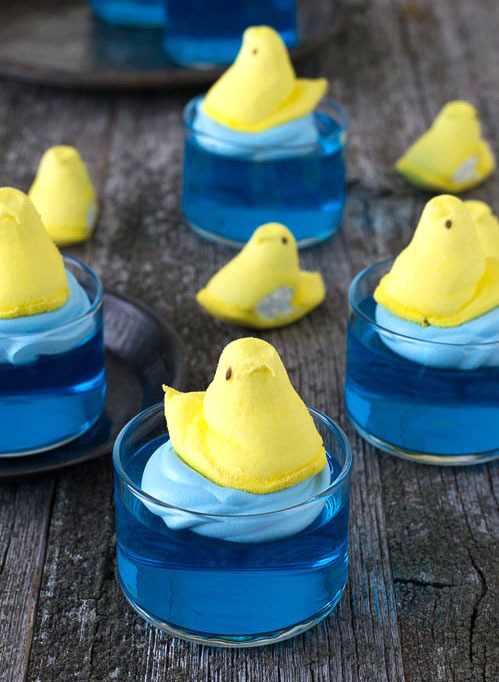 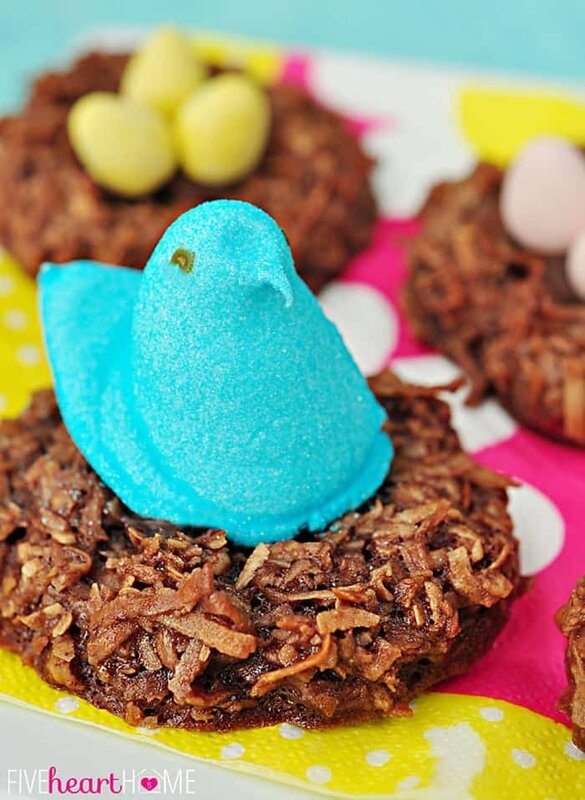 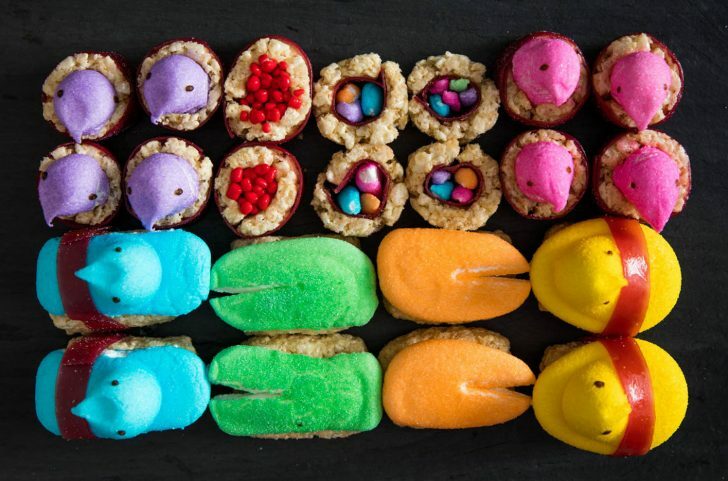 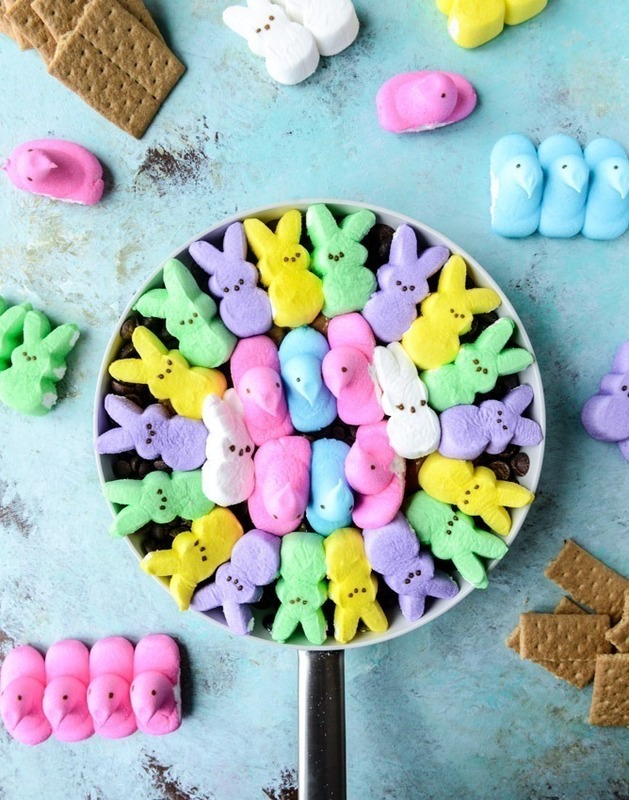 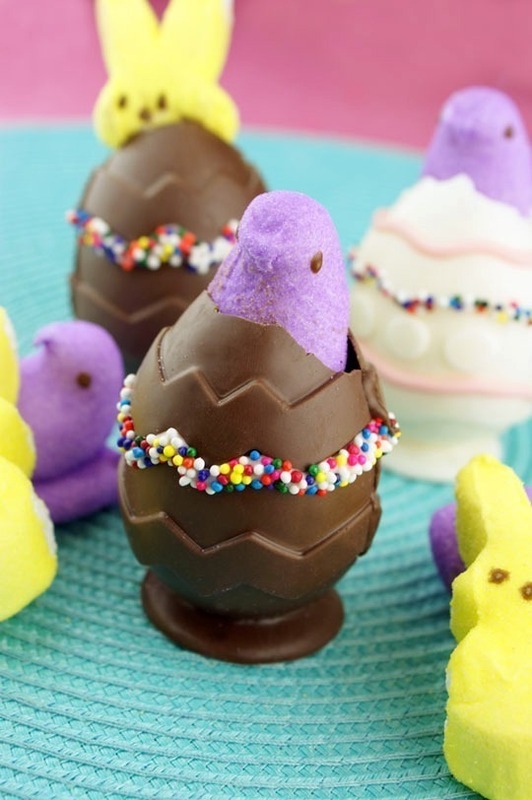 Check out over 35 amazingly sweet and adorable Marshmallow Peeps Recipes! 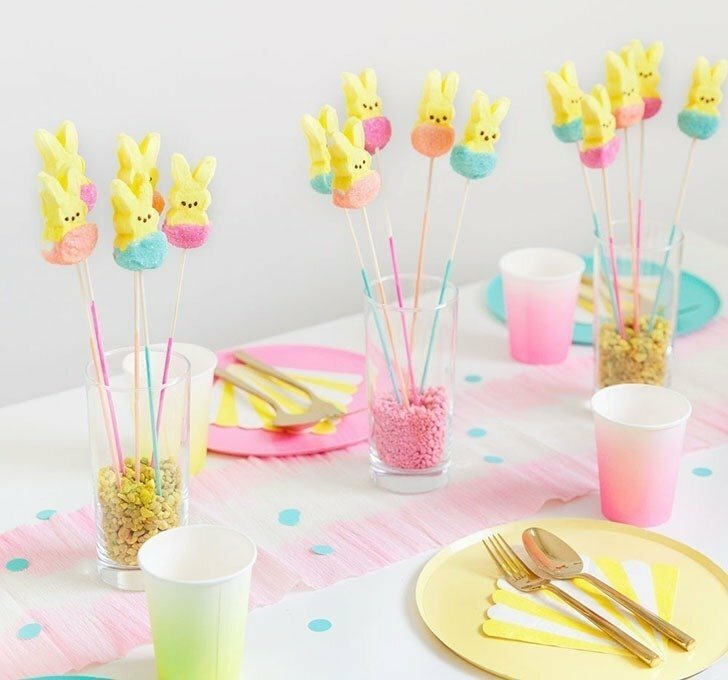 PINNING HAS BEEN TURNED OFF FOR ALL IMAGES BELOW. 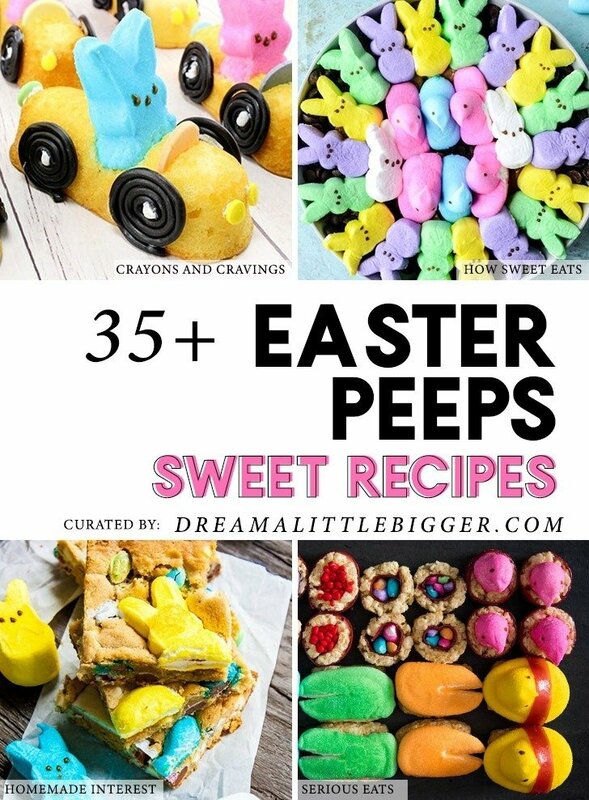 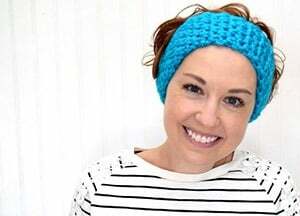 PLEASE BE KIND AND CLICK THROUGH TO THESE AMAZING PROJECTS AND PIN THEM FROM THEIR ORIGINAL SOURCE. 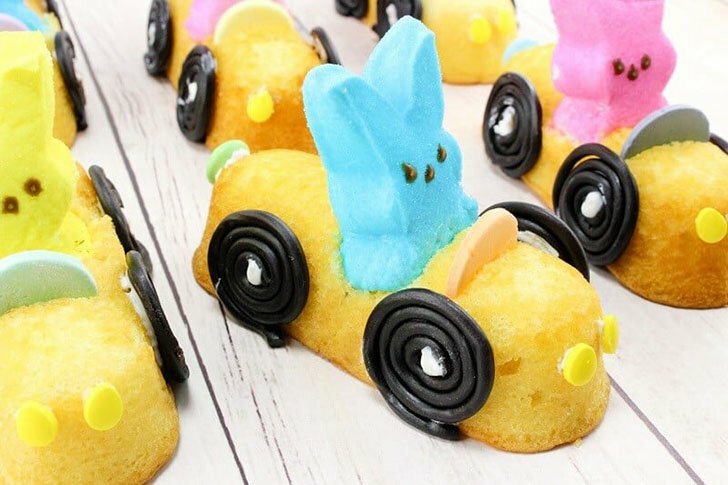 IT’S AN EASY WAY TO SAY THANKS TO THESE AMAZING MAKERS AND ALL OF THEIR HARD WORK! 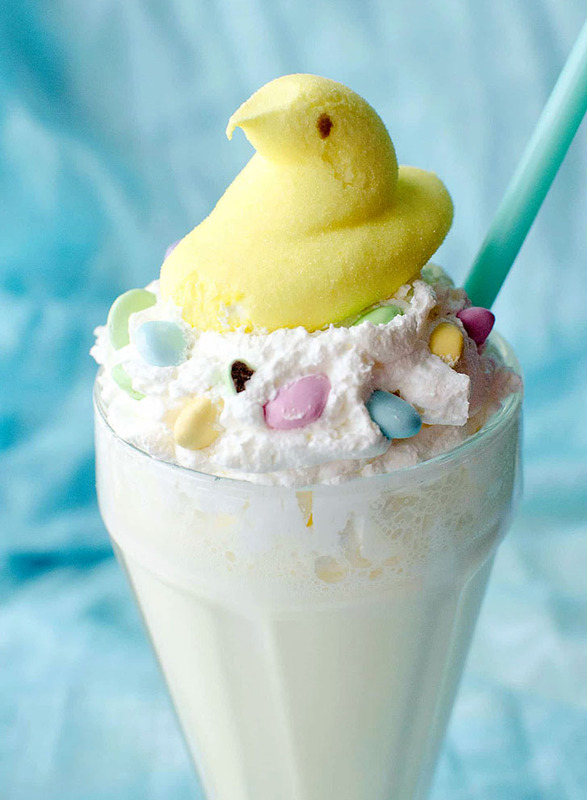 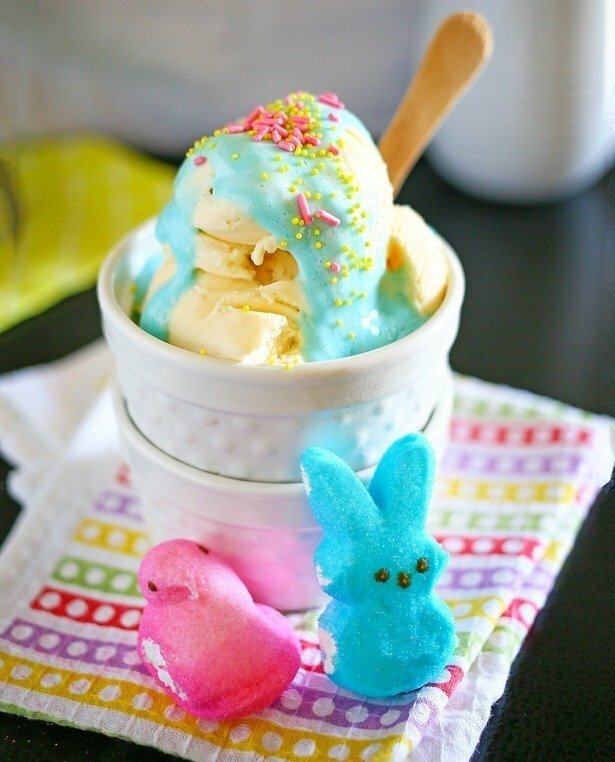 Peeps Ice Cream Syrup by Kleinworth and Co.